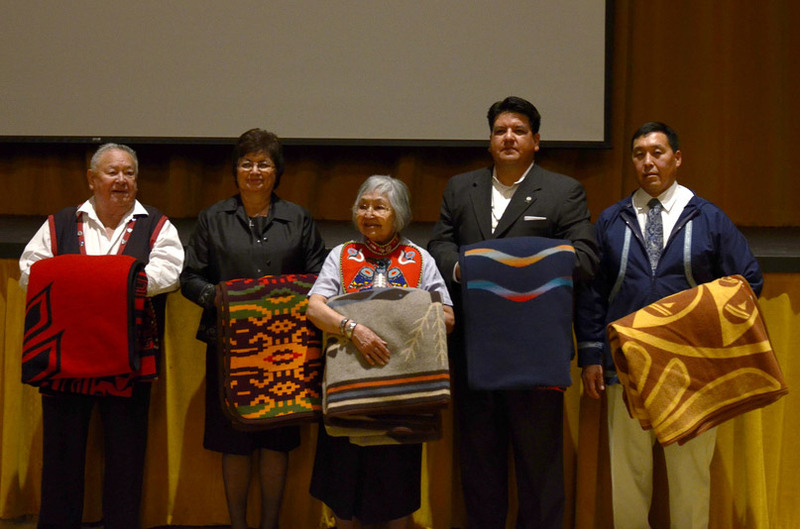 PORTLAND, OR - February 9, 2012 — Nominations are open for Ecotrust’s 11th annual Indigenous Leadership Award, recognizing native leaders dedicated to improving the social, economic, and environmental conditions of their homelands. The 2011 nomination deadline is April 1st. A panel of Ecotrust staff and tribal leaders will narrow the nominations to the top five, from which a jury of senior tribal leaders and Spencer Beebe, president of Ecotrust, will select the finalist. The awardee will receive $25,000 and the honorees $5,000 to continue their work in improving conditions in their communities. The 2012 award ceremony will be held in late October or early November in Portland, Oregon. Date and venue will be announced soon. All are welcome to attend. Nomination guidelines and forms are available online at www.ecotrust.org/indigenousleaders/guidelines.html. Ecotrust invests in tribes and First Nations because they are sovereign nations and representative governments, major landowners, committed co-managers in natural resources, and major drivers of local and regional economies. Tribes, First Nations, and Alaska Natives hold long-range vision, sustainable societal values, and an historical knowledge of land and marine terrestrial ecosystems that provide a sense of place in the growing global economy. In 2012, Ecotrust will bring nearly 50 leaders recognized with past Indigenous Leadership Awards together as the Indigenous Leaders Council, to provide guidance and support for tribal programs that deliver equitable, high-impact benefits to people and the natural world.